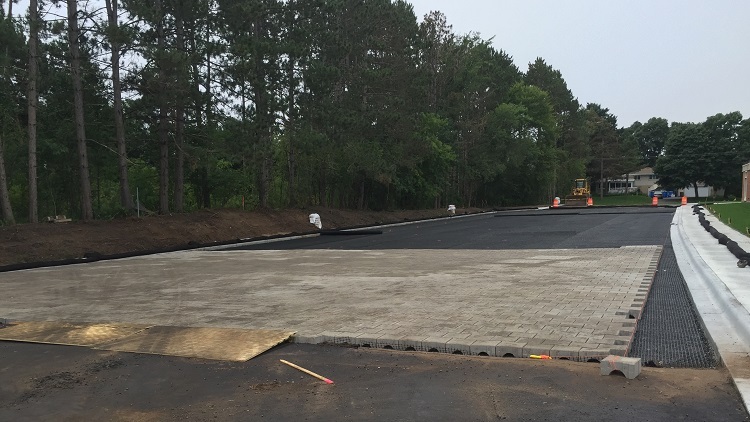 Mahtomedi Public Schools had three sites that were in need of pavement reconstruction. Two sites had proposed segmental permeable paving in the parking lots. The District Office would have permeable pavers in nearly every parking stall calling for about 14,000 SF. 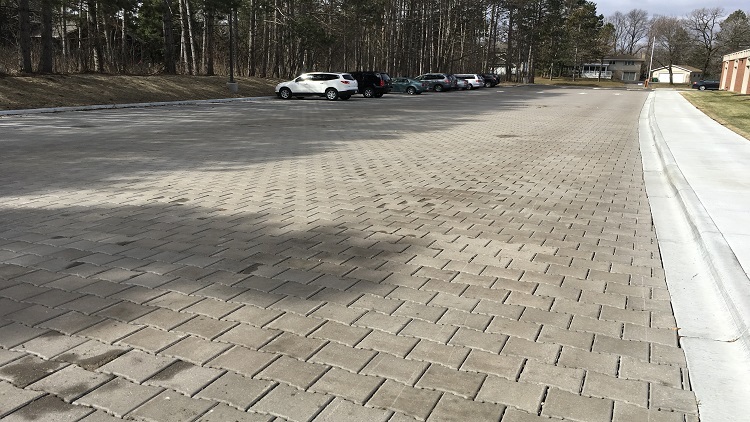 The Elementary School would propose permeable pavers to replace their entire south parking lot and all the parking stalls in the new parking lot, therefore calling for around 20,700 SF total. 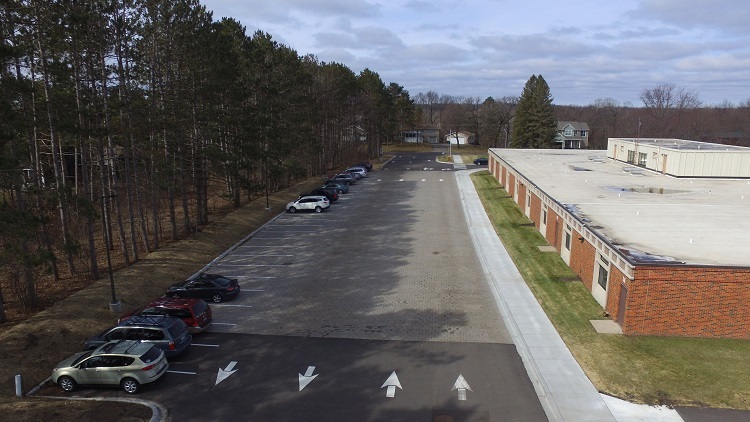 The Mahtomedi District specified PaveDrain because of its unique industrial design, the capabilities of withstanding the weight of multiple school busses, and stormwater runoff solution. The system is a patented arch design under the nearly 6″ thick paver that acts as an internal storage chamber that can be used as a reservoir for stormwater runoff. Being a fairly new product to the hardscape industry, Structures was one of the first installers to use a Probst Paver Machine to install this product, and had much success. The Probst allowed for a timely install, while not jeopardizing aesthetics. 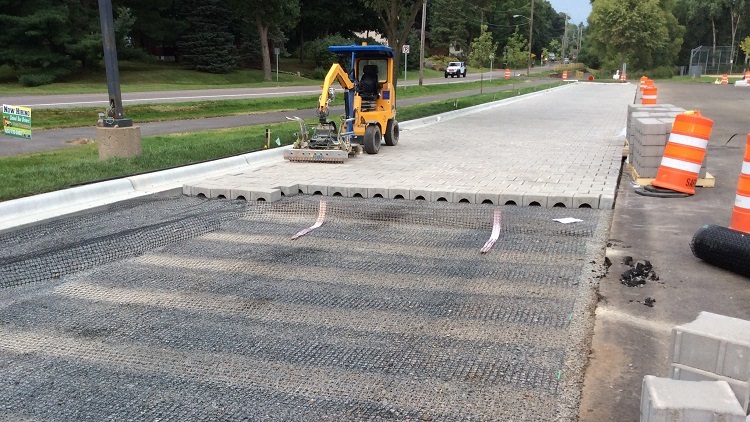 In the end, Mahtomedi Public Schools got an amazing stormwater solution with segmental permeable pavers. General Contractor: T.A. Schifsky & Sons, Inc.